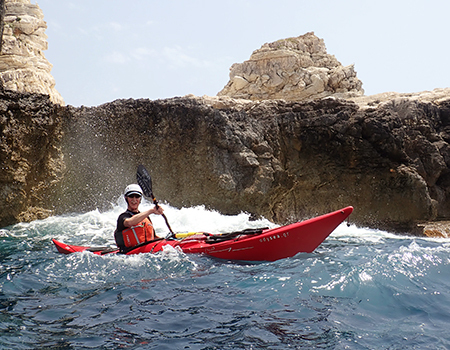 An enjoyable and rewarding combination of sea kayak multi-day journey and skills development week in the Ionian sea for anyone interested in working towards a British Canoeing Sea Kayak Personal Performance Award , exploring an impressive stretch of coastline in Greece! During the 4 days of this sea kayaking trip we circumnavigate the amazingly beautiful islands of Paxos and Antipaxos. 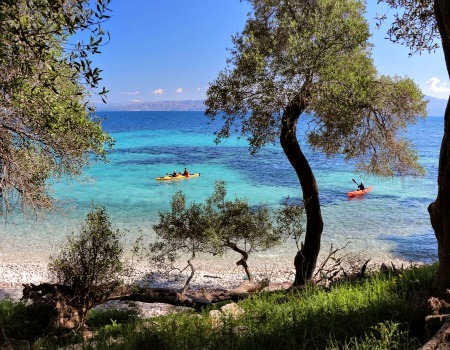 Situated south of the island of Corfu, these two tiny islands comprise a unique and beautiful sea kayak playground and destination in the Ionian Sea.